Rekindle your love for one another with these undiscovered romantic getaways for Valentine month. After spending the holidays with families and friends, Valentine is the perfect excuse to spend some couple time with your better half. 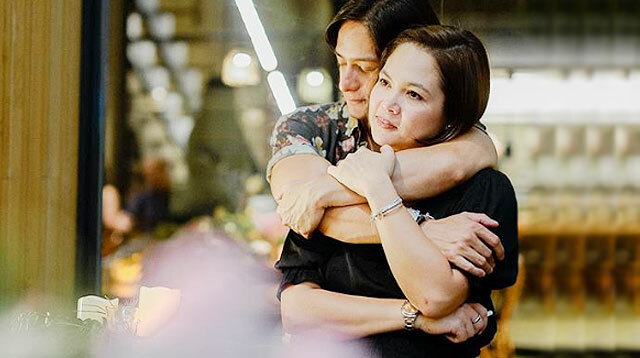 Whether you are married, soon-to-be-married, or just dating, the sights and sounds of these out-of-the-city escapades will definitely make you fall in love again and again. My husband and I had a great time sailing the waters of Subic Bay en route to the untouched Sampaloc Cove. 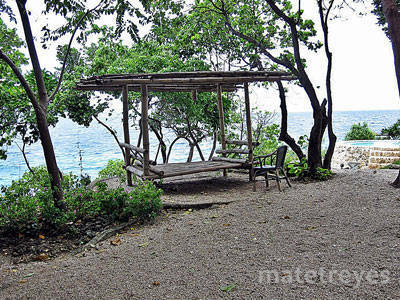 The simplicity of the cove is a nice backdrop for a laidback day together. Have a picnic-style lunch at Sampaloc Cove, snorkel, then have early dinner aboard the luxurious sailboat with a private chef and butler. 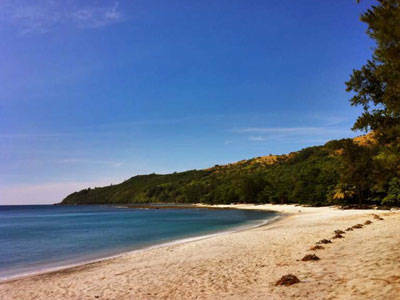 Subic Bay Freeport Zone is a 3-hour drive from Manila and is accessible via private and public transportation. Buses bound to Olongapo City leave Manila every 30 minutes. 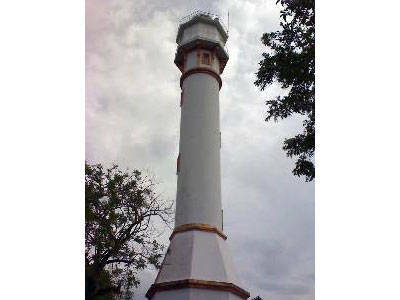 The Lighthouse Marina Resort is the only resort offering sailboat tours to Sampaloc Cove to date. 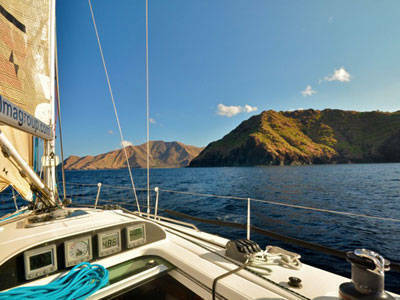 Sailboat tours are priced at P3,500 per hour. 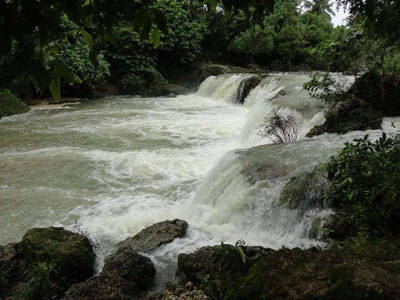 IT Analyst Niño Siongco and his girlfriend Rachelle Enriquez shared an uncontrived DIY tour of Alaminos and Bolinao in Pangasinan for a romantic escapade. “We had so much fun that I forgot how many islands we went to. The cliffs and islands reminded us so much of Coron. I was amazed at how pristine the place is, considering it is only a few hours’ drive from Manila”, Niño says. “We held hands, ran, laughed, hugged, and danced in the rain. Every moment was private.” he added. Beach bumming at Patar Beach, island hopping, spelunking, and engaging in the sights like the waterfalls, caves, and the lighthouse. Alaminos-bound buses leave Manila every hour, while four direct trips to Bolinao are scheduled daily. Travel takes around 6 to 7 hours. 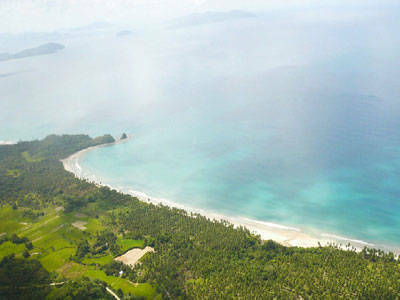 Expect to spend about P 4,500 for a 3-day-2-night vacation package that includes island hopping, picnic lunches and dinners, caving adventure, beach bumming and sightseeing. 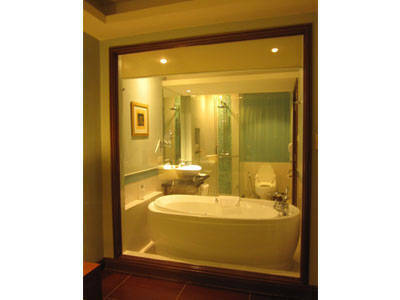 The glass-walled bathroom with a freestanding tub at The Lighthouse Marina Resort is reminiscent of old world bathrooms. 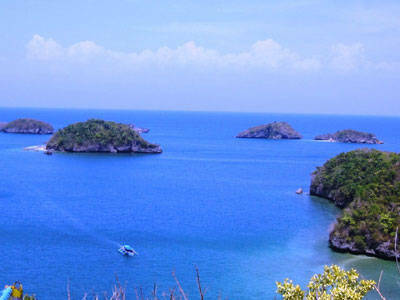 The Hundred Islands National Park in Alaminos, Pangasinan boasts of a combination of fine beaches, caves and cliffs without the bustling crowd. 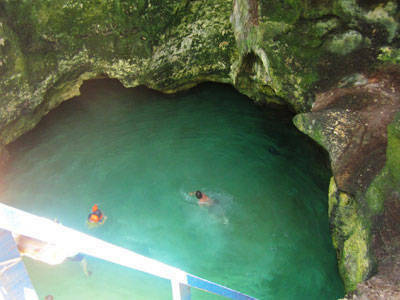 Jump while holding each other’s hands in this enchanting cave in Marcos Island, Hundred Islands National Park. Make sure to have your photo taken with this picturesque backdrop from the view deck at Governor’s Island. 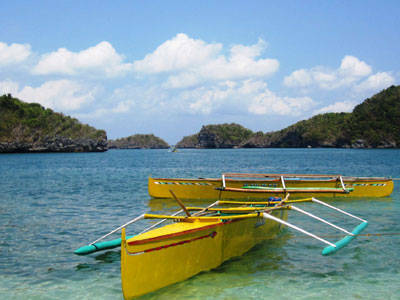 Experience a laid back getaway with your better half in Sumilon Island. 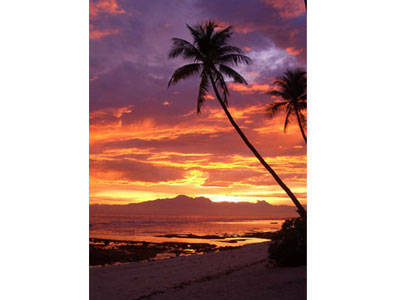 Enjoy the view, the breeze and the calming waves. 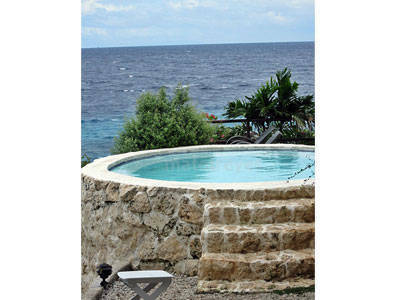 De-stress with Sumilon Island’s outdoor jacuzzi facing mainland Cebu and nearby island of Dumaguete. 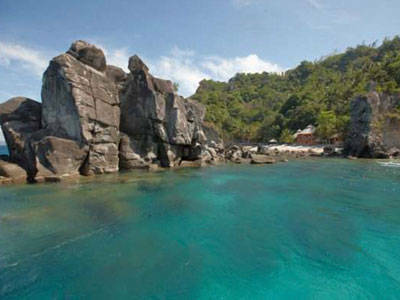 Malcapuya Island is like a temptation paradise – serene, secluded, calming. 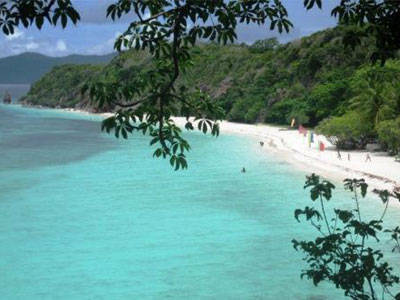 The unexploited 14 kilometer Long Beach in San Vicente, Palawan is the longest white beach in the Philippines. 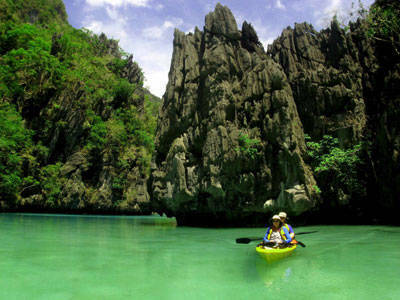 Kayaking at the scenic lagoons of El Nido is fun and adventurous. Photo by Lee Goldman of Asia Kayak Tours. 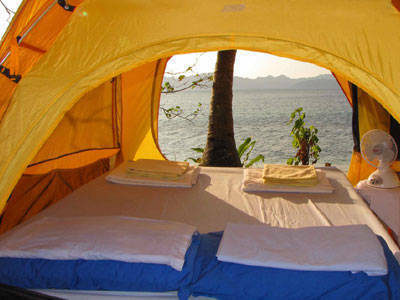 A romantic alternative to an overnight stay at a hotel is to sleep at a luxury camping tent facing the magnificent Bacauit Bay. Photo by Lee Goldman of Asia Kayak Tours. 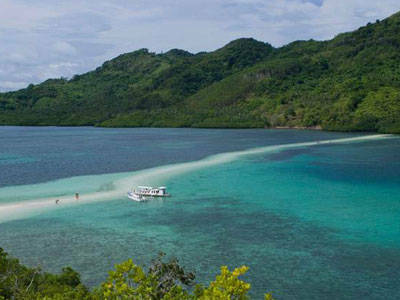 The Snake Island in El Nido is like a runway surrounded by clear aquamarine waters. Photo from El Nido Resorts. 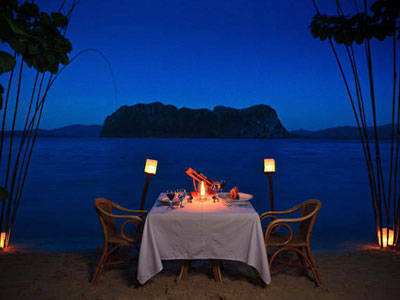 A candlelit dinner by the bay in El Nido can make a couple speechless. Photo from El Nido Resorts.